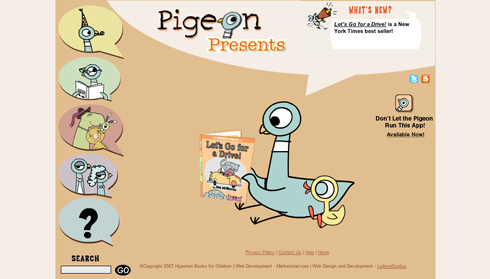 Working with Leibow Studios and Mo Willems, I created the animated content for Pigeon Presents, including the “Hot Dog Game” and all the Nav buttons. © 2007 Rob Fendler. All Rights Reserved.